Clane Golf Club play at Clongowes Wood Golf Course (by kind permission of the Jesuit Fathers). 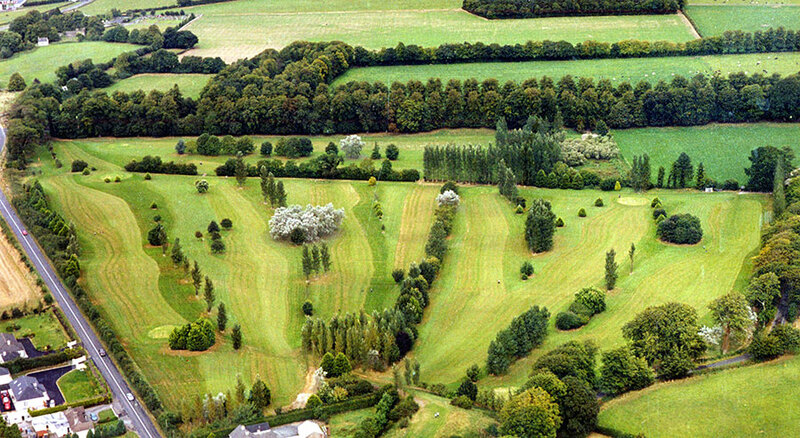 Clongowes Wood Golf Course is a private course and is part of the Clongowes Wood College complex. The first ever general meeting was held in April 1976. Among the attendance were Ted Coonan, Henry Wright, David and Ann Carbery, Mrs. Monaghan and Eamonn Howlin. 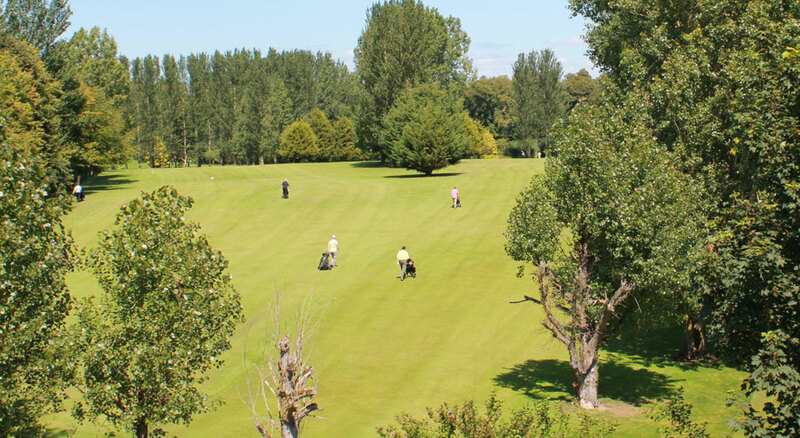 Father Ray Lawlor through the auspices of Ted Coonan, was instrumental in getting the College Authorities to grant permission for the golf course to be used by the residents of Clane and thus was founded Clane Golfing Society. The first Captain elected was Eamonn Howlin, who held the post for 1976, 1977 & 1979 & again in 1998 and Austin Nevin from Prosperous was Captain in the intervening year. The first Captain’s Prize of Clane Golfing Society was held in 1977, and was won by John Molloy with Fr Edward Flood runner-up. During these years the Society grew from a starting membership of 25 members to about 85 before we affiliated to the G. U. I. in 1980 under the stewardship of the Captain for that year – the late Brian Kennedy. 1980 was the first year the Club held a Captain’s Dinner at the Setanta Hotel. The winner of the first Captain’s prize was Anthony Carew. The first President was the late Rev. Willie Hughes who held office for 1980 & 1981. His successor was the late Louis Maher. During the early years the Club has had a number of stalwart members, Eamonn Howlin, George Chatten, Richard Greene, Tommy Carew, Anthony Carew and the late Louis Maher and others that have helped to give a great foundation for the current Club. The course is a private course and is part of the Clongowes Wood College complex. 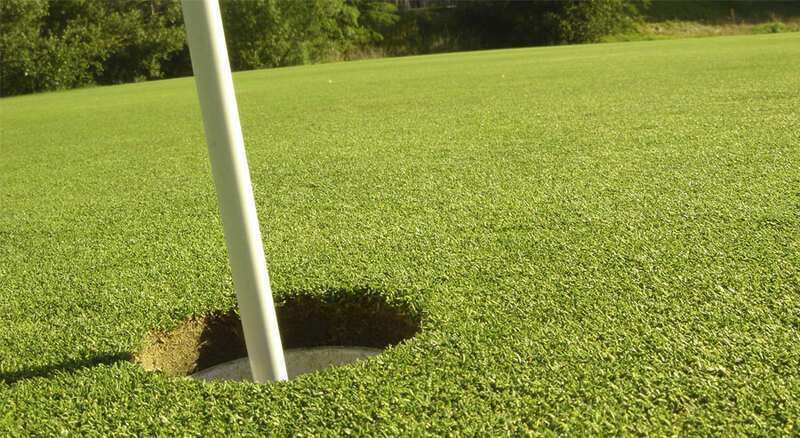 There are no Green Fees allowed. The course was constructed in 1965. The course architect was Eddie Hackett. The Club was founded in 1980. The Ladies Club was founded in 1987 and although the ladies club functions separately from the Men’s Club, there always has existed an excellent relationship between both Clubs in ensuring that there is equal enjoyment by all of this fantastic facility. The course being shared between the Students, the Ladies Club and ourselves.